Are you getting fully reimbursed for the plastic surgery conducted on patients? Are you distressed by longer AR days and inefficient follow-up with insurers? Now is your chance to declutter your practice performance by outsourcing plastic surgery billing to high caliber billing professionals who can handle your billing challenges with breeze using the latest technology and compliance audits. Outsource2india has adopted the best plastic surgery billing practice to ensure that the coding and billing process is accurately done without risk of rejection or short pay. Our team can work with you side-by-side, to analyze the availability of documents and its completeness. Therefore, drastically lowering AR days and the risk of rejection. The plastic surgery billing will be followed by coding audits to ensure every code is accurate and ready to be compiled for claims submission. 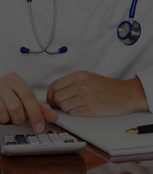 Why Should you Choose Outsource2india for Plastic Surgery Billing Services? 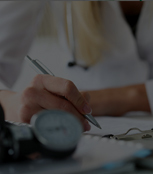 Outsource2india is a HIPAA compliant and ISO 9001:2015 accredited plastic surgery billing services provider with 20 years of experience in paper-based and digital medical billing. Our strong adherence to compliance and awareness of the codes and definition specific to plastic surgery makes us a reliable choice. It is a monumental task for any ordinary plastic surgery billing service provider to deal with document pile until completion of payment capture and reconciliation. Hence, we have the most secure data governance system to handle your confidential data with accountability and confidentiality. We also sincerely follow the non-disclosure agreement giving you complete peace of mind. Ergo, we are ISO/IEC 27001:2013 accredited. Accuracy is everything in end-to-end plastic surgery billing services because billing errors can lead to short pay or complete denial of payment. This is taken care of by our professionals by carrying-out billing with extra attention to accuracy and completeness. Outsource2india's turnaround time for plastic surgery billing services is relatively faster than the best competitor because we maintain a digitized document repository with invoices that are highly organized. Therefore, bills are furnished in the format prescribed by the insurer for faster processing. 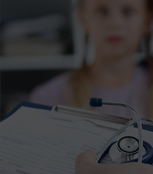 The plastic surgery billing services are highly scalable. So, if you face a fluctuating number of claims each month we can accommodate your requirement by giving you flexible options to customize the service based on the volume. 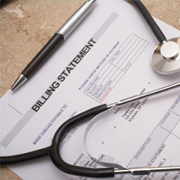 O2I's plastic surgery billing services are highly affordable and can be customized according to your budget. The flexibly-priced services can bring you cost-performance benefits like no other. A dedicated project manager will be appointed to handle each billing assignment until it is successfully completed. We have taken this approach to save our clients from hassles of waiting for updates because our dedicated specialist will coordinate with billing experts to create timely reports for every client. 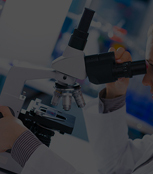 We have the largest team of medical coding specialists spanned across two continents. With 500+ billing and coding experts, every project is handled within the stipulated time without moving the assured deadline. Our team is thoroughly aware of compliances and the code categories (CPT codes). O2I has adopted the latest billing infrastructure that includes the best security, software, and hardware systems that can together facilitate fast and efficient billing with marginal scope for errors. Data sharing is faster and safer with O2I because we have a sophisticated VPN and SFTP that prevents your data from becoming lost or irreversibly damaged during the data transfer. When you outsource plastic surgery medical billing services to O2I, we provide contact center support to our clients on a 24/7/365 basis. Our agents can be reached via your preferred channel to get an instant response. Outsource2india was contacted by a Maryland based medical billing company with a bottleneck in payment due to large backlogs. We remedied their challenge in quick TAT. Outsource2india serviced a US medical billing client by providing patient demography and charge entry. We serviced 150 files that led to jump in productivity by 30% and the error rate was under 2%. The quality of your work is outstanding. Seems the people you have on our tasks are knowledgeable about the process and are doing a good job on following through on things. Overall great job and we appreciate all the help. Outsource2india is an ISO certified company that is driven by the vision to become a world leader in medical billing and coding services. Our two decades of experience in plastic surgery billing services have resulted in over 1000 satisfied clients across the world. We are early adopters of several top tier billing technology and practices that drive our business in the right direction. 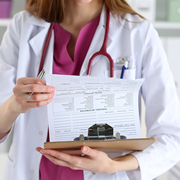 With deep knowledge of the HIPAA guidelines, our billing efficiency is greater than most competitors. If you want to avail our services at budget-friendly rates you can send us your requirement and get the service customized to your preference. Reach us now to get customized plastic surgery billing services at an attractive quote within 24 hours.